Yes, you can eat a delicious breakfast and still maintain great bodybuilding nutrition. 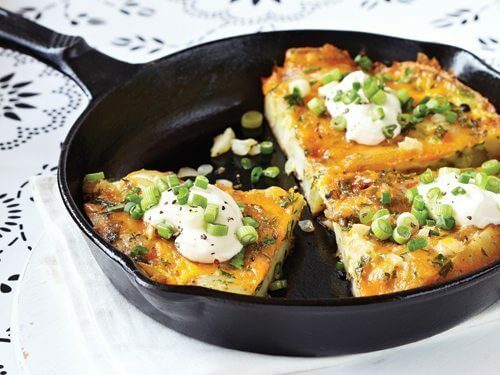 Check out these tasty breakfast recipes and get a great, clean-eating start to the day. The most important meal of the day is breakfast. This is true for those who don’t work out, but it is especially important for bodybuilders. After a long night of fasting, your body is craving nutrients, and you need to give your body those nutrients asap. For bodybuilders, scarfing down a bagel or a bowl of cereal won’t cut it. You’ll need to eat a healthy breakfast, that contains all three of the important macronutrients (protein, carbohydrates and fat). If you are looking for new breakfast ideas, read on to learn about some delicious, clean-eating breakfast recipes for bodybuilders. Muffins are a delicious breakfast treat. With these muffins, you get great taste and lots of nutrition. Each muffin contains around 300 calories, 15 grams of carbohydrates, 16 grams of protein and 5 grams of fiber per serving. For this recipe, you will need medium-sized muffin tins. If you use smaller tins that will allow you to make 6 muffins, then 2 muffins will equal one serving. Preheat the oven at 350 degrees Fahrenheit (170 degrees Celsius) while you are preparing the batter. Mix all the ingredients together until they form a smooth consistency. You can add additional ingredients if you like (chopped walnuts, chopped almonds). If you want to add these extra ingredients, use a spoon to mix them in after you have prepared the batter. Spray the muffin tins with non-stick cooking spray if you aren’t using non-stick cookware. Pour the batter evenly into the muffin tins and put them in the oven. Let them cook for 20 minutes before checking them. If you can poke through a muffin with a fork and it comes out clean they are done. If not, let them cook for another five minutes and then check again. Parfaits are another great way to get your morning started right. This parfait is particularly suited to bodybuilders due to the high protein content. It’s also delicious. ​This breakfast treat contains 435 calories per serving. These aren’t empty calories though because you also get 55 grams of muscle building protein, 34 grams of carbohydrates and 9 grams of fat. This parfait will give you the nutrition and energy you need after a long night’s fast. The parfait requires a jar, glass or bowl so you can layer the ingredients. The first layer for your parfait is the granola, so you will have the granola at the bottom of the jar. Next, you will need to put a 1/3 cup of the yogurt on top of the granola. Mix the powdered peanut butter with a1/3 cup of yogurt and then add that to the jar as well. The last third cup of yogurt is mixed with the instant coffee, cocoa powder and protein powder. After all the ingredients are thoroughly mixed, add that layer to the jar. To finish it off, top your parfait with a little granola, blueberries, and chocolate chips. If you are looking for a breakfast that is full of protein, but not high in calories you will love muscle pancakes. These pancakes are very easy to make and will provide you with 33 grams of protein, 30 grams of carbohydrates and only 5 grams of fat. The best part is that one serving of these pancakes only contains 300 calories. Mix the oats, egg whites and protein powder together. Then spray a skillet with non-stick spray and heat the skillet over medium-high heat. Pour 1/4 cup of the pancake batter onto the skillet and wait until bubbles start to form or the edges begin to turn brown. After this happens, flip the pancake over and wait about two minutes or until the pancake is firm. This recipe will give you two servings so you can share it with a bodybuilding friend or if you are bulking, eat all of it yourself. Try these new breakfast treats if you are looking for variety and great taste. All of these recipes are packed with protein and they give you different ways to get a nutritious breakfast. 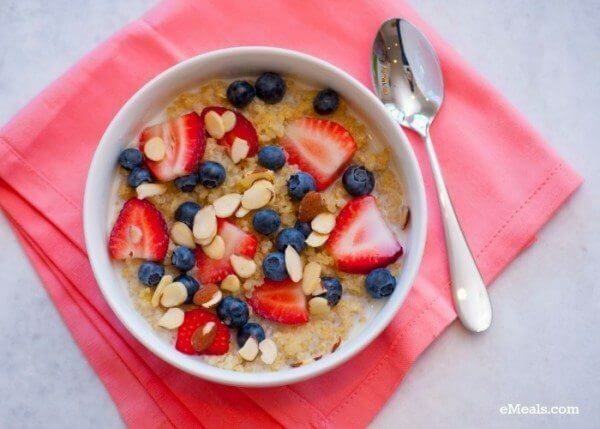 You can eat clean and have delicious breakfasts too.